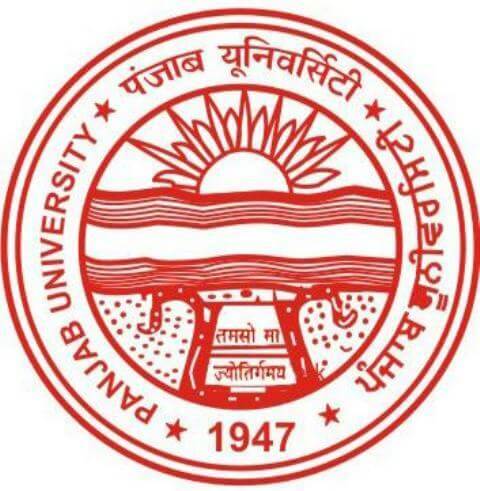 About: Panjab University Common Entrance Test (PU-CET) is an entrance exam conducted by Panjab University, Chandigarh to grant admissions to the various undergraduate programs and postgraduate programs in the state of Panjab. UG Courses: The exam is compulsory for the students who are seeking admissions to B.Pharmacy (Credit Based Semester System) and B.Sc (Hons.) at PU Campus. Frequency: PU CET 2019 examination is conducted once a year usually in the month of April. Level: PU CET 2019 is a state level entrance test conducted to get admission in undergraduate programs. Authority: PU CET 2019 examination is conducted by Panjab University which has all the rights to allocate the seats to the applied candidates. Date of Examination: PU CET 2019 examination will be held on 12th March 2019 for the registered candidates. Admit Card: The candidates can download the PU CET 2019 Admit card from 24th April 2019. The candidates are advised to download the admit card from the PU CET 2019 official website only. Academic Qualification: Candidates who have passed their class 12th examination or any qualifying examination in the year 2016 or 2017 and those who are appearing in class 12th or qualifying exams in the year 2019 are eligible for PU CET 2019 Examination. Age Criteria: The candidates should be minimum of 17 years in order to satisfy the PU CET 2019 eligibility criteria. Application Process: The interested candidates need to fill in their personal details, academic details and upload the scanned copies of the photograph and signature to complete the registration of PU CET 2019 exam. Application Fee: The PU CET 2019 exam registration fee can be remitted through the Online payment process, Demand Draft and Cash on Counter. Mode: PU CET 2019 Examination is Pen-paper based exam. The exam will be conducted in offline mode. Exam Type: The PU CET 2019 examination consists of Six sections. Each section will be of 70 minutes. Credentials: The candidates are required to enter their Login ID and Password to download the PU CET 2019 admit card. Source: The candidates are required to visit the official website to download the PU CET 2019 admit card or the admit card. Divergence: The syllabus is different for the different course hence the candidates have to make sure that they are aware of the syllabus properly. Topics: The Topics for PU CET 2019 exam includes Biology, Physics, Computer science, Mathematics, Chemistry, and Biotechnology. Results Date: The PU CET 2019 results will be declared on 14th May 2019 and the candidates are required to download and take a print out of their result. Credentials: The candidates should have to Click on the link for PU CET 2019 results. Counselling Date: The counselling of PU CET 2019 begins on 31st May 2019. All eligible candidates are expected to attend the counselling process. Documents Required: The Candidates are Expected to bring all the original documents as prescribed in the PU CET 2019 notification. PU CET Fee payment: The PU CET fees should be paid by the last week of April. Eligibility criteria regarding Education: The candidate should have passed the 10+2 examination of the Central Board of Secondary Education, New Delhi. Eligibility criteria regarding Nationality: The candidate should be an Indian citizen. Foreign citizens can apply via the NRI quota. Eligibility criteria regarding SC category candidates: The SC category candidates should submit a certificate duly signed by the officers mentioned in the form. Reservation system: 1st preference is given for the candidates who are suffering from Locomotor disabilities of lower limbs between 50-70% and the 2nd preference is given for the candidates who are suffering from Locomotor disabilities of lower limbs between 40-50%. Candidates who are blind, (including colour blind) deaf, and dumb are not eligible. Eligibility criteria regarding qualifying marks: The candidates should have scored a minimum of 50-55% marks in the qualifying examination. Eligibility criteria regarding age limit: The candidate should be 17 years old as on December 31st in the year of enrolment. Procedure: The candidates have to open the official website of PU CET UG or PU CET PG as applicable. The candidate has to register on the website and login with the newly created login ID and password. The candidate has to download the SBI slip and pay the fee in any branch of SBI then the candidate has to upload his/her photograph, signature, and other required documents. The candidate has to verify all the details and submit the form. Application Procedure: The candidates have to submit the completely filled in forms. They should attach the passport size photograph and required documents. The candidates belonging to the SC/ST categories have to submit the required certificates. In the case of non-availability of certificates signed by officers mentioned in the form, the applications will be rejected. The candidates have to go through the information before submitting the application form. Registration Fees: The candidates belonging to the General category have to pay Rs. 1760 and the candidates belonging to the SC or ST categories have to pay Rs. 880. Payment mode: The candidates can pay the examination fee online via a challan from an SBI Bank. Procedure: The candidates have to visit the official website and click on the "PU CET Admit Card" link. The candidates have to enter the login ID and password to access the admit card. The candidates should download the admit card and take a print out of the admit card. The admit card will be available online on the PU CET UG and PG websites. It will not be sent by post. The admit card is a mandatory document and the candidates have to keep it until the end of the admission process. Subjects: Physics, Chemistry, Biology, Mathematics, Biotechnology and Computer Science. Duration: The exam duration for every section will be 70 minutes. Marking scheme: For every correct answer 2 marks will be awarded and 1/4 mark will be deducted for every incorrect answer. Negative marking: There will be negative marking. 1/4th mark will be deducted for every incorrect answer. Medium: The exam will be in English. Question paper pattern: The question paper will be set in OMR pattern. Subject wise mark allocation: Physics, Chemistry, Biology, Mathematics, Biotechnology and Computer Science will have 60 questions each. Mathematics: The topics are Sets and Functions, Algebra, Co-ordinate Geometry, Calculus, etc. Physics: The topics are Physical world and measurements, Kinematics, Laws of motion, Work, Energy and Power, etc. Chemistry: The topics are Some Basic concepts of chemistry, Structure of Atom, Classification of Elements and periodicity of properties, Chemical bonding and molecular structure, etc. Biology: The topics are Diversity in Living World, Structural Organization in animals and plants, Cell Structure and Function, Plant Physiology, etc. Biotechnology: The topics are Introduction to Biotechnology, Bio molecules, Cell and Development, Genetics and Molecular Biology, etc. Computer Science: The topics are Computer Fundamentals, Introduction to C++, Programming Methodology, Programming in C++, etc. The syllabus for the PU CET UG course can be obtained from the official website. The syllabus for the PU CET PG course varies from one course to another. Result Date: The PU CET 2019 results will be declared in the second week of June 2019. Procedure: The candidate should open the official website and click on the "Click here to check PU-CET (U.G. & BHMS)-2019 Entrance Test Result". Check the result. The PU CET merit list will be displayed. Reservation: For the students of foreign origin only one seat is reserved. For the students from the States and Union Territories lacking facilities in this field and repatriates from Myanmar (Burma), Sri Lanka, etc only one seat is reserved. There are two seats reserved for the students from the rural area category and one seat is reserved for Border Area students. There are two seats reserved for a single girl child with no male siblings. One seat is reserved for the students suffering from Cancer/AIDS/Thalassemia and additional seats will be created for children of officers who have served during the Kargil War. Merit list: Merit lists will be created for the following categories namely Physics, Chemistry and Biology, Physics, Chemistry and Mathematics, Physics, Chemistry and Biotechnology, Physics, Chemistry and Computer Sciences and Mathematics only. The weight for the written exam is 75% while the weight for the 12th board exam is 25%. Answer key: The exam paper and the answer key will be published online. The students can raise objections against the answer key by writing an official letter which must reach the office within 2 days after the answer key was published. The answer sheets can be given for evaluation but the candidates have to send a demand draft to the office within 10 days after the result was published. The counselling process will begin once the results are declared. The official website for the exam is http://www.puchd.ac.in/. One has to clear AIEEE Exam or PU CET Exam to get the admission. I have written both the exams to appear for counseling. Cutoff depends on the number of candidates appear that day. The candidate must clear the PU CET exam and must have passed the 12th from a recognized institute. You should have completed your 12th from a recognized board. For admission, you have to appear in PU CET(common entrance test) conducted by Punjab University in the month of May. Generally, students scoring at least 85% in 12th standard get direct admissions but this procedure is going to be centralized in upcoming years. The admission in this college is purely on the merit-based and the entrance for this course is PU CET organised by PUNJAB university Chandigarh. The minimum cutoff is 65% merit marks. The candidate must clear the PU CET exam and must have passed the 12th from a recognized institute. Minimum 65% cutoff mark is required. Candidate must clear the PU CET exam and must have passed the 12th from a recognized institute to get admission in this college. Minimum 80% cutoff mark is required. The entrance exam conducted is PU CET exam. The entrance examination of PU CET has to be written and it consists PCM/PCB questions. The typical cutoff will vary every year. When will the PU CET UG and PG exams be held? The PU CET UG Exam will be held on the 4th of June 2017. The PU CET PG Exam will be held on the 10th and 11th of July 2017. The Results will be announced by the second week of June. Is it possible for me to apply to any other institutes with the scores of PU CET? PU CET is conducted solely for the purpose of taking admissions to Punjab University for different UG and PG courses. If I attempt the PU CET exam will I get an M.Sc Bioinformatics seat? Yes, the candidate will get an M.Sc Bioinformatics seat provided the candidate qualifies in the exam. Can you give me a brief about the Punjab University? The Punjab University, Chandigarh was established in 1882. The university has been accredited with a CGPA of 3.35 on a four point scale at A Grade valid for a period of 5 years from 25/06/2015. The university has 75 teaching and research departments and 15 centres for teaching and research at the main campus located at Chandigarh. It has 190 affiliated colleges spread over the eight districts of Punjab state and union-territory of Chandigarh, with Regional Centres at Muktsar, Ludhiana and Hoshiarpur cities in Punjab state. what is the exam detail of PU CET 2017? Courses offered under PU CET 2017? when are the results to be declared of PU CET 2017? The result will be declared in the month of July 2017.
when is the online registration of PU CET 2017? The online registration process will commence from April 18, 2017. In order to be in the eligibility criteria to for appearing in the exam, the candidates need to pass the 12th board examination from a recognized board. when is the exam to be conducted of PU CET 2017? The entrance exam for 2017 will be taking place on May 22, 2017.